You know what's more impressive than serving a woman wine during dinner? Serving her a glass of port afterward. (And it tastes pretty damn good, too.) We'll teach you everything you need to get started. You don’t have to be snobby to enjoy wine. That’s the theme of our introduction to wine series. 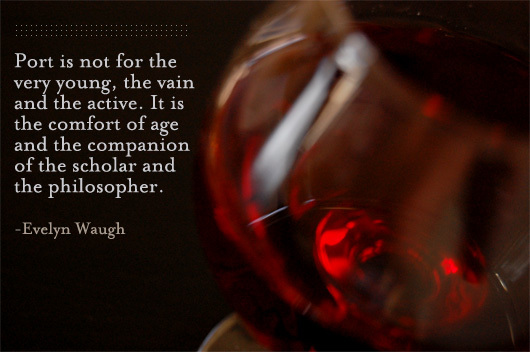 But if you’re going to be snobby about one type of wine, make it Port. Why? Because if your goal is to fake it till you make it as a wine aficionado, learning the basics about Port will get you the most mileage and the most bang for the buck. Serving a glass of Port before or after dinner is a surefire way to impress a date or guest. Chances are they’ve never had Port, let alone Port that’s been selected, stored and served properly. In spite of its centuries of prestige, Port wine has only recently come back in vogue in the States. Port, named for the eponymous Portuguese city of Porto, was made first popular in the 17th century by the British, who started drinking it because…well, it’s a long story, but in a nutshell, they were mad at the French. Port fell off the map for recent generations of drinkers due in part to its daunting complexity. It’s this very same complexity that makes Port extremely rewarding. You can spend a lifetime exploring the nuance and history of the types Port wine. But all it takes to get started is 10 minutes of reading. Start here. Broadly speaking, there are two main distinctions of Port wine: bottle-aged Port and barrel-aged Port. 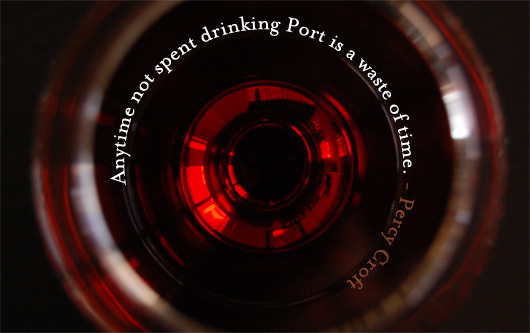 A more apt term might be “barrel-matured” or “bottle-matured,” since all Port spends some time in a barrel. In general, bottle-aged Port tends to be smoother and less tannic. Barrel-aged Port tends to take on some of the qualities of the wooden barrels, including taste (remember “oakiness”?) and color. Further, barrel-aged Ports (or “wood Ports”) end up more viscous, due to a slight amount of evaporation. Start with a Ruby Port. Ruby Port is on the opposite side of the spectrum from Vintage Port in almost every way, which, for the novice Port appreciator, has more pluses than minuses. Vintage Port, while the undisputed King of Ports, is less enjoyable for everyday imbibing because it has to be treated like fine china—it’s fragile, expensive, and only for special occasions. In fact, it’s so delicate that it has to be consumed within 24-48 hours of opening the bottle. A worthy Ruby Port, on the other hand, costs around $15 and stays good for a month or longer after uncorking it. Ruby Port is typically a blend of young Ports that have been barrel-aged for about three to five years. Ruby Port is often filtered (or fined), meaning it’s ready to drink as soon as it’s bottled—no decanting required. This makes Ruby Port perfect for popping open and serving in a small glasses along with fruit, cheese and other desserts. Most Ruby Port is “fruit-forward,” making it tasty and accessible, albeit starkly less complex than more expensive Ports. Ruby Port can even be served slightly chilled, on the rocks or in cocktails (try a white Port tonic). Again, go with some of the top names in Port, like Sandeman’s or Warre’s. Graham’s makes a good one, too. As mentioned above, Ruby Port stays good for about three to four weeks after opening. 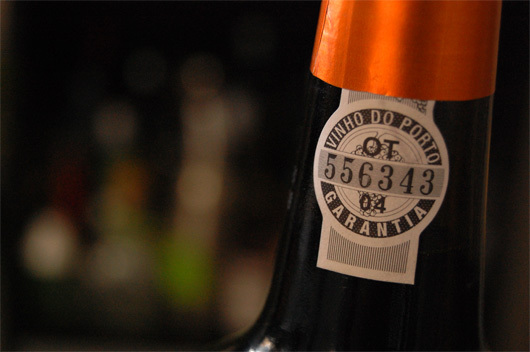 Tawny Ports can be kept in the fridge for about a month, or two weeks at room temperature. LBVs can last for a week, maybe two if it’s unfiltered. That’s barely scratching the surface of Port, but it’s certainly enough to get you started. Enjoy Port like you enjoy any other glass of wine, noting its color, aroma and the balance of its tannins, acidity and flavors. Try different styles, different producers and take notes. And after you’ve developed your own taste for Port comes the best part: introducing friends, dates, family, business associates and others to the lost arts of the aperitif and digestif. 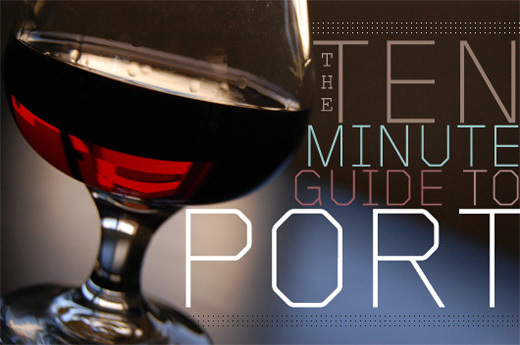 For the Love of Port – Hands-down best online guide for Port. Great beginner articles and massive archive of thoughful blog posts, interviews, features and more. Instituto dos Vinhos do Douro e Porto – The one, the only. Surprised of no mention of white port. It’s not easy to find in the US, but it’s possible and worth it. I personally would stay away from Ruby port completely. Though sometimes you can get a nice flavor, in general I think it tastes just like ordinary sweet red wine. And, in my opinion, there are better kinds of the it. I think it’s better to start with Tawny. It’s still sweet, but flavor is a lot more complex and more unique. And you can find a good and inexpensive bottle. I would also suggest to try Madeira. Thanks for the recommendations! I’ve got a ruby port now (my first) and I think it’s pretty decent, but I also don’t mind sweet red wines. I’m looking forward to trying Tawny and Madeira. Glad to see a post on port! I would also recommend staying away from Ruby and upgrading to a LBV (Late Bottled Vintage). LBVs are generally only slightly more expensive for a serious upgrade in quality. My favourite of the recent bottlings is the 2003 Quinta do Noval (though I understand its easier to find in Canada than the US). If you’re serving to a date or friends, its sure to impress. A nice 10-year tawny (Taylor’s is quite good) also makes a good introduction to port. Markus, Thanks for the great comment and recommendations! Maybe if we get some more, I can add an addendum with readers’ recommendations. Awesome article and I look forward to the next. I think (think) what Andrew is trying to get at with buying a Ruby first is that one should build up through the ranks. For example with red wine, a first time drinker shouldn’t just jump to the $20+ bottles. You need to start low and work your taste up to where you can recognize what a good wine tastes like (and what a bad one tastes like). 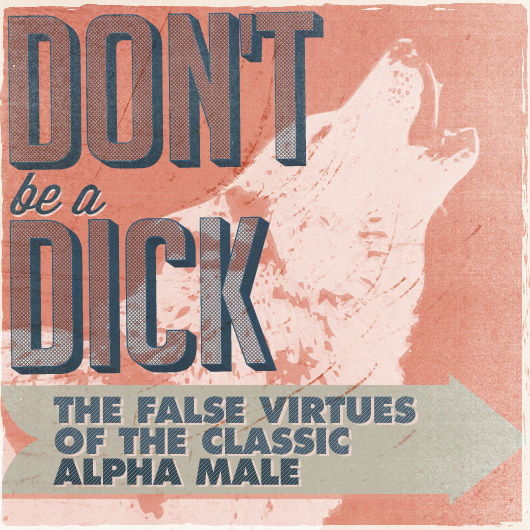 Just wanted to chime in that this was a very helpful read for me. I am just learning about Port wine and this was simple and to the point. Thank you. Just to let you gents know… Port plays a massive role in the formal dining and drinking lifestyle of the British Army. After every dinner function, ball or celebration a bottle of port is passed around the table (ONLY to the left of course!) and has been for hundreds of years now. Each regiments, corps and even battalion may have different rules and traditions as to how, when, and who drinks and toasts and comes at the perfect time to close out a wonderful evening. Great intro for those not already enjoying the stuff! Good job. Don’t really care for the white ports. Much better flavors in the red. I do not agree that a vintage must be drank in a day or two. I keep them for years after opening and all just get better. No two ways about port, the older the better. A nice forty year old port for me any day, even if its been opened. I’ve never had a port that wasn’t delicious. Vinegar? Never seen it. 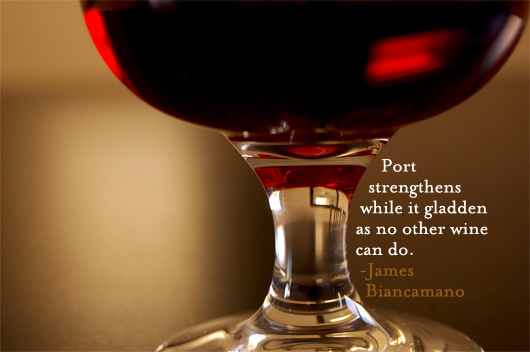 That’s why port was invented, a way for inferior wine makes to make good wine. You just can’t screw it up. I have a bottle from Porto, Calem Velhotes. How can I tell when it’s vintage? I bought it in ’09 on a school trip. The number on the label is 355312 with FP 04. If anyone can help that would be great! I meant when it was bottled/corked. I can assess things better after a port . It is a good medisanal and I would recommend it to anyone who needs to really relax at night before sleeping. They will not need sleeping tablets.